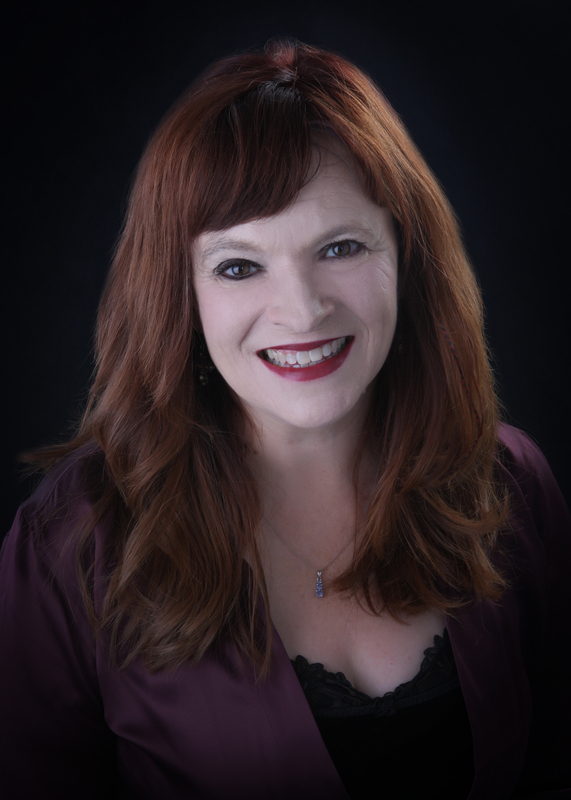 Carolyn Flynn, seven-time published author, TEDxWomen speaker and winner of the 2014 Rick Bass/Montana Prize for Fiction, is the owner of SoulFire Studios LLC, which nurtures authors, business-minded artisans and creative entrepreneurs. As a book developer, she elevates people through the power of words. Author of novel-in-submission Searching for Persephone and the memoir-in-progress Straight from Heaven, she has an MFA in Writing from Spalding University (fiction and narrative nonfiction), which is consistently rated one of the top 10 brief-residency programs in the world in Poets & Writers magazine. and appeared in The Whitefish Review in December 2014. Her fiction pieces have won many prizes, including the Albuquerque the Magazine 2010 short fiction prize for Blood, and the Renwick-Sumerwell and SouthWest Writers fiction prizes. Her literary short stories have been published in Ellipsis and The Crescent Review and featured in the German anthology Wilde Frauen, which included an introduction by Clarissa Pinkola Estes and short stories by Margaret Atwood, Isabel Allende, Pam Houston and Erica Jong. She has been short-listed for the Tom Howard Prose Prize in creative nonfiction and the Danahy Prize in fiction. Resurrection was published in January 2015 by Fourth Genre. An earlier version of that essay, which is an excerpt from Straight to Heaven, won second place in the 2013 Pinch Journal creative nonfiction contest, judged by Abigail Thomas. Resurrection also was a finalist for the 2014 Steinberg Essay Prize. Her creative nonfiction piece Pound of Flesh was published in 2011 in The Tampa Review and received a glowing review in The Review Review for its inventive take on the spiritual cost of rampant capitalism. on topics such as mindfulness and creative visualization. From 1999 to 2015, she was editor of Sage magazine, the Albuquerque Journal’s magazine for today’s woman, which published for 26 years before going dark in early 2015. During those years, she interviewed notables such as Elizabeth Gilbert, Eve Ensler, Stephanie Coontz, Gloria Steinem and Sister Simone Campbell. The magazine won best national magazine in the 2014 National Federation of Press Women contest. As a journalist, she worked for two-plus decades at newspapers including the Albuquerque Journal, The Arizona Republic, Lexington Herald-Leader, Owensboro Messenger-Inquirer and Enterprise-Journal. At the University of New Mexico, she teaches media entrepreneurship, media management, multimedia writing, design, branding and strategic communications. She leads workshops and consulting on media startups, multimedia writing and strategic media campaigns for both legacy media, new digital media and non-media companies who want to lead a conversation through media. She designs books for authors who are using hybrid or assisted publishing. She also designs websites for authors. See her work here. and I’m the story catalyst. Story is my abiding love. Nothing makes me braver, more buoyant and more authentically myself than to be in pursuit of story. If you have found me, you must also yearn to write a book that is bold, illuminating and true. You want to write a book that is worthy of a greater conversation. Maybe you know some parts of your story, but not all. Maybe you seek an enduring path to publication, but the ever-shifting terrain of the book business is disorienting. You’re daunted by discovering the message and delivering that book. I do the courage walk with authors, and together, we are targeted and joyful, attuning to the passion, vision and purpose of your book. Others would not call me rich, but I feel like I have a fortune. I write. I’m abundant. I always have the path to my sacred yes, and it’s the page. What did it feel like the day you met up with your story idea? Or rather, the day your story found you? The day I met up with my creative inheritance was the October day when seven-year-old daring, curious, delightful me walked into a classroom with orange footprints traveling up the wall. Our teacher told us to write a story: Who invaded our classroom last night? Who walked on this wall? Every neuron in my imagination lit up. The scene was set in motion – ghosts passing through walls, witches streaking across a golden moon, spiders to dangle before my sister’s wild-eyed fright. It was pen up, game on. The page was my threshold, and it’s the place I return to again and again. You have a story that someone wants to hear. What would it feel like to joyfully write your way to that story? What would it feel like to stir a new conversation, to provoke new thought? What if your way of illuminating the world was through the page? What if story was the path? With my experience as an award-winning literary writer, a seven-time published author and 20+ years as a journalist and magazine editor, I am uniquely skilled to sense the heart of your story. I am a story catalyst who blends true allegiance to your story with life-giving mastery of your vision and your craft. With my media background, I have honed the ability to spot stories that are culturally resonant. Editor of a thought-provoking, award-winning women’s magazine, which won a national award for best magazine from the National Federation of Press Women. Over the years, my interviews included prominent women such as Eve Ensler, Elizabeth Gilbert, Gloria Steinem, Stephanie Coontz, Erin Brockovich. A seven-time published author of trade nonfiction with Penguin Putnam on topics such as mindfulness meditation and creative visualization. Winner of the 2014 Rick Bass/Montana Prize for Fiction. Author of Resurrection, published in Fourth Genre, winner of second place in the Pinch Journal creative nonfiction contest, judged by Abigail Thomas. Co-founder of The Writing Space at thewritingspace.net, which features an archive of podcasts on writing craft. MFA in Writing from Spalding University’s award-winning brief-residency program. Journalist who has worked at newspapers including Albuquerque Journal, The Arizona Republic and Lexington (Ky.) Herald-Leader. My father always held that vision for me.